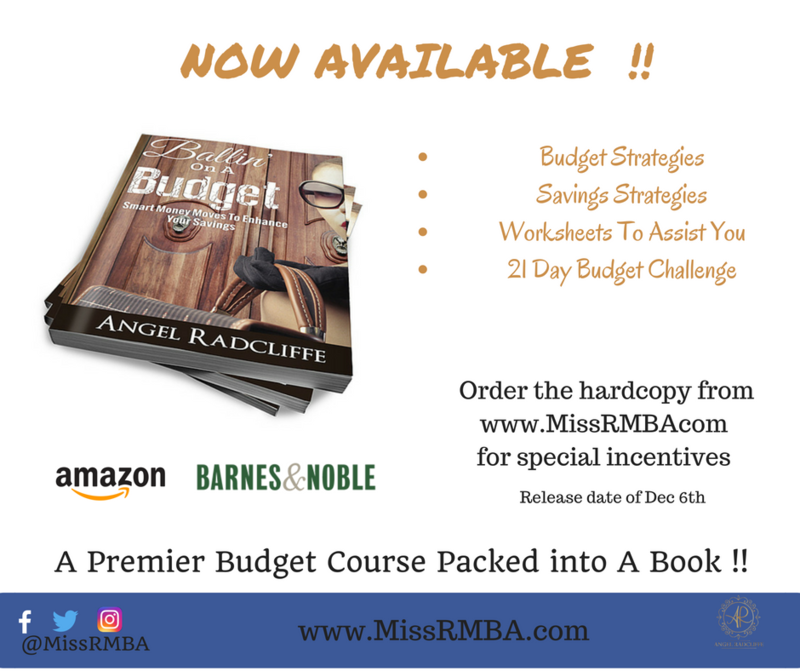 We are proud to annouce the release of Ballin’ On A Budget, a premier budget guide Authored by our founder Angel Radcliffe. Let’s see…. you just got paid and now you’re out of cash wondering where your money went. If you are like many Americans, you do not have a budget. Having a budget and understanding where your money goes is a part of your foundation to success. Are you ready to understand how to create a budget? Understand the major components of budgeting? Are you aware of what you are spending your money on and how to reduce or even eliminate certain spending habits?